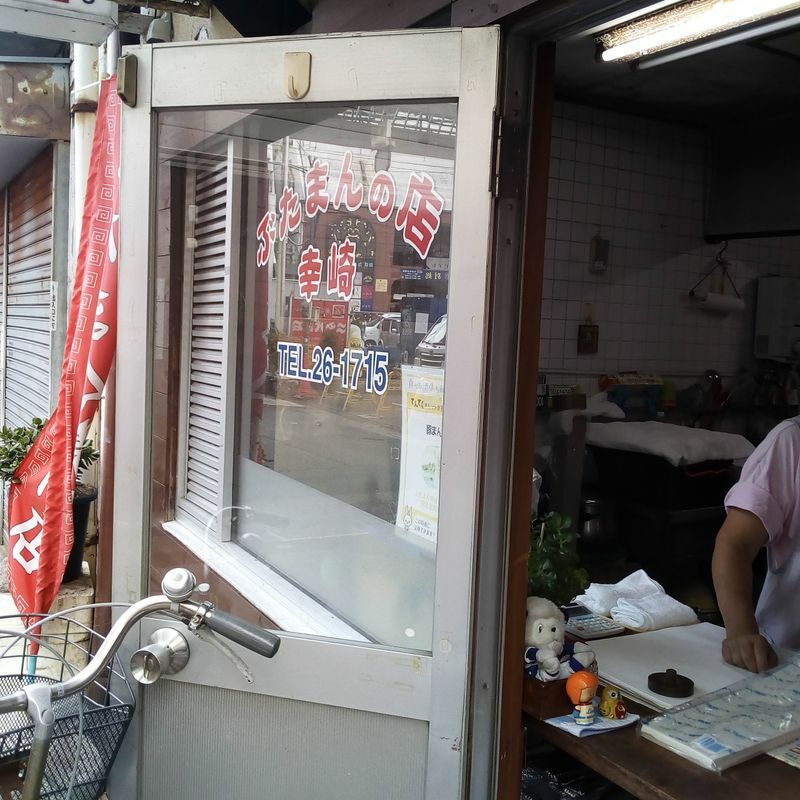 Tiny shop / window selling only pork nikuman. They're 108 yen including tax, handmade, and a little smaller than what you'd buy at konbini. 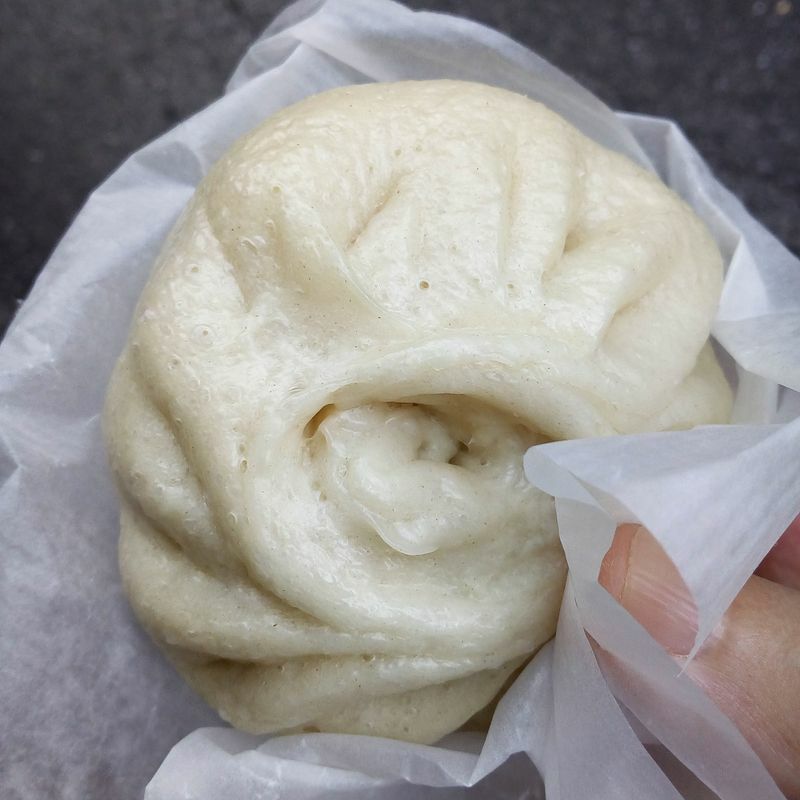 The interesting point is they are made with pork, which is the traditional Chinese way to make nikuman, although sometimes beef or other meat is used. Because these are handmade, the bread part is thicker and denser than what you might be used to. They're good and affordable, but not spectacular unless you love a handmade nikuman (harder and harder to find these days).